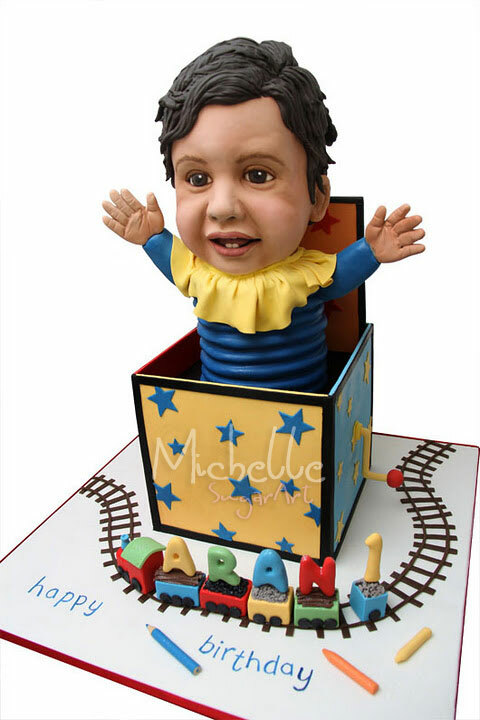 Happy Birthday to Aran who is one today and here is the cake for you inspired from Jack in the Box, your favourite toy. OMG this cake is amazing - you are truly talented! !